Today I started working on a new project that is stretching the organized/coordination aspect of my personality... a very scrappy project. 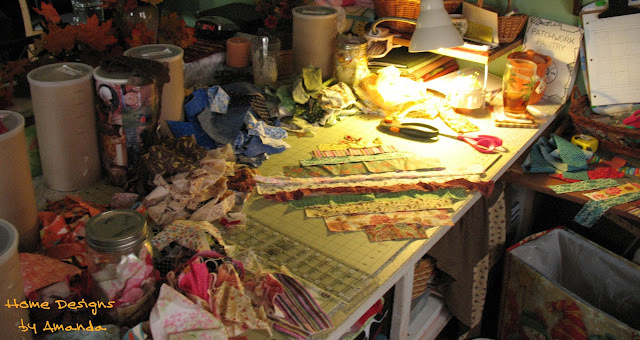 I also realized today that, though I don't have much stash material...I have a massive amount of scraps, as seen from the picture of my table today. And this didn't include any scraps out of the big crock yet! Oh, and the containers by there respective color pile are still full! 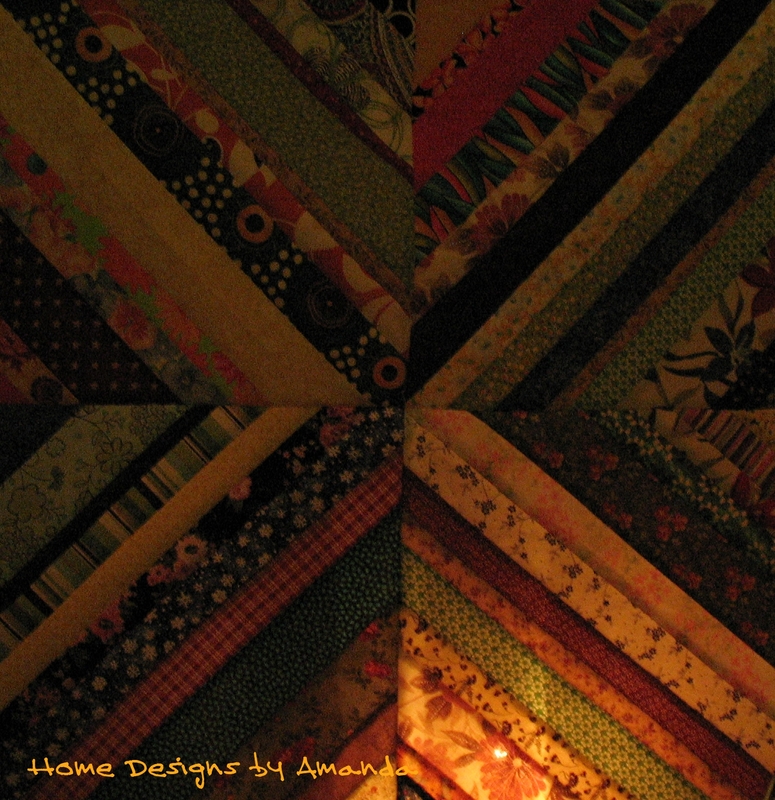 This is a present, so it is intentionally bad lighting :) However, once it is gifted, I'll show the whole project! I actually enjoying this and liking how quickly it is coming together! As I was working on the above project today, I was thinking about how all the very different fabrics were being put together...about how they may not necessarily look right next to each other and how it seems very random. It made me think about how our lives can seem like that. Things can happen in our lives that seem very separated, maybe even more so the placement of things we don't understand...but once all the pieces come together, they make a beautiful arrangement. For some of us, we won't completely see the arrangement our life made till we get to Heaven...however, for now, we can see how God leads us and rejoice in the amazing things that He has brought us through!